THIS SATURDAY - Beginning Dance Lessons with COREY RAYNOR at 8p, in both Begginning Salsa and Bachata, plus Intermedaite Salsa & Bachata at 9p with Ricardo Tellez and Edwin Martinez! Salsa DJ's: Enri Franc and Obi-One, Thiencito, Carlos X and DJ Meli, Antonio and DJ Goodsho. Salsa, Bachata, Latin Mix (Reggaeton Latin Dance Mix), Opens at 7:30p for Drinks, Dance Lessons at 8p. 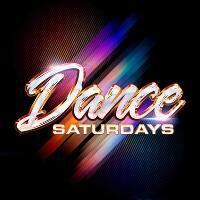 3 Rooms of Dancing, Every Saturday Night - www.DanceSaturday.com (please find us on Facebook under 'Dance Saturdays' for our most current schedules). Beginning Salsa and Bachata Dance Lessons at 8p, you'll love them. Every Saturday. No partenr and No Experiecne Required! Fun and Social Beginning Salsa and Bachata Dance Lessons. Schedule: Doors open at 7:45p, Beginning Lessons in Salsa and Bachata at 8p. 9p Intermedaite Dance Lessons (Back & Upstairs room). 9p Club Dancing Lesson (Upstairs). 9:30p Salsa, Bachata y Mas in 3 Rooms with 3 Separate Dance Floors!